Thank you for your interest in The Room at Kensington Place! 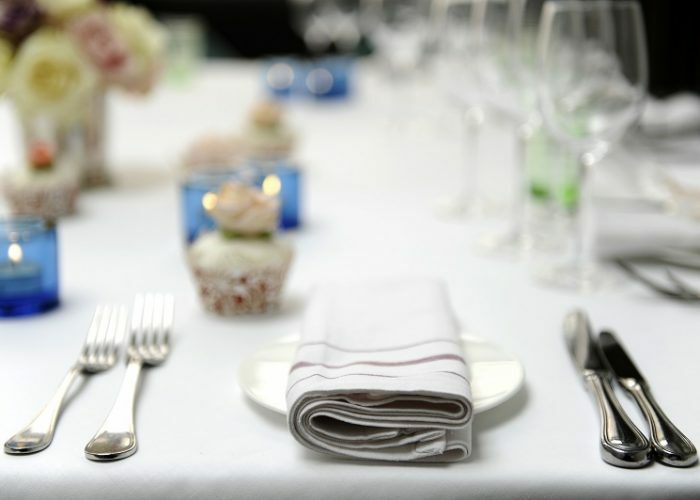 The Room at Kensington Place in Notting Hill seats up to 22 guests on one table, or up to 36 guests in total, and can hold as many as 70 guests for a drinks and canapés reception. 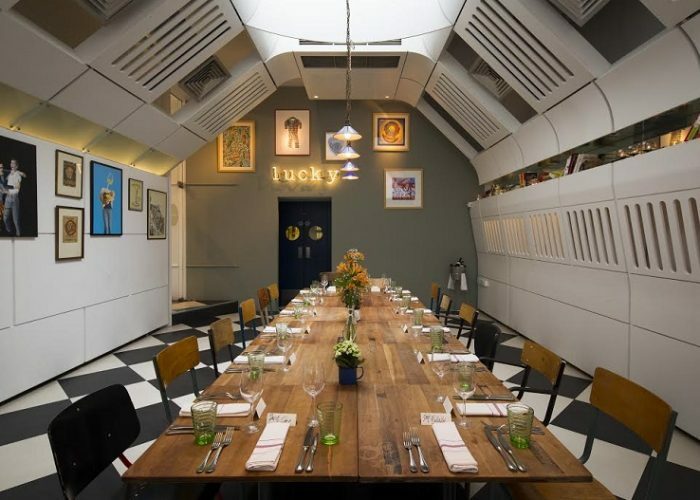 This versatile space can be hired for lunch or dinner and is one of the very few purpose-built private rooms in London. 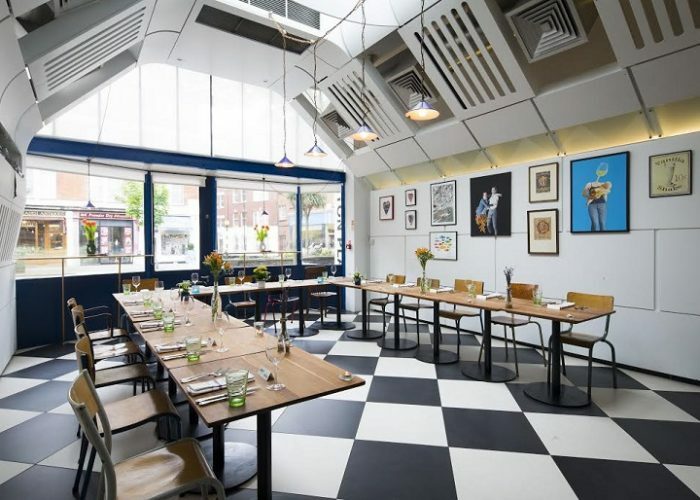 The Room, like the restaurant, has a bright and airy feel with a high vaulted ceiling, in the centre of which sits a generous skylight. 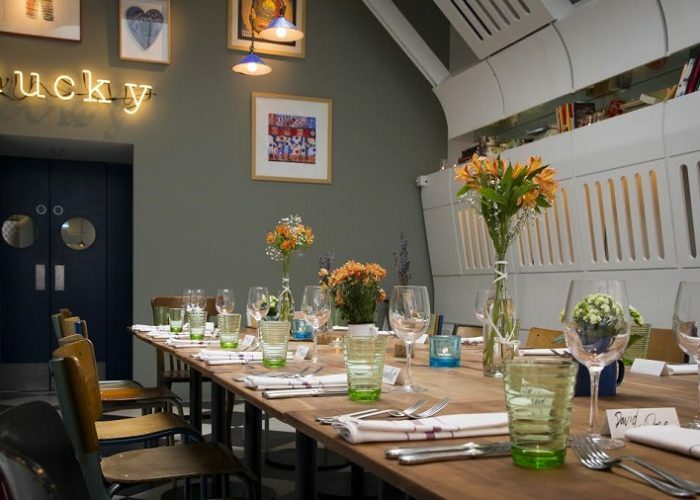 The private dining room is perfect for any occasion, with flexible table arrangements providing the best layout suited to your event and number of guests. The Room is completely self-contained so you can enjoy an entirely private, tailor-made event.